Smartphone users can now watch around four hours per gigabyte by dialing down video quality. 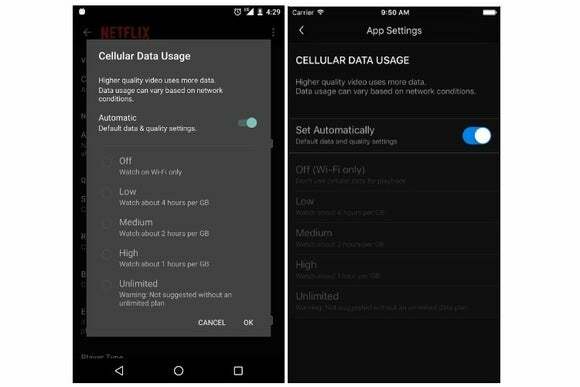 Netflix users can now decide how quickly to blow through their data caps with video quality controls on iOS and Android. Off: Only stream on Wi-Fi. Unlimited: Stream the highest quality possible. Netflix doesn’t correlate specific video resolutions to these data limits, but for comparison, Netflix recommends 5 megabits per second to stream HD video at home. Keep in mind that Netflix doesn’t limit video quality on Wi-Fi networks. And for T-Mobile Simple Choice customers, data caps are a non-issue with Binge On, which allows unlimited Netflix streaming at 480p resolution. The story behind the story: Netflix’s data controls come shortly after the company admitted that it had been throttling video quality on AT&T and Verizon networks for more than five years. 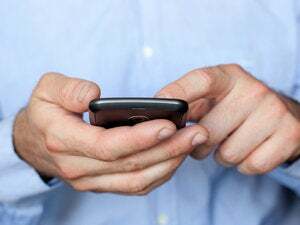 Although the move may have saved some customers from overage fees, customers with generous data plans or grandfathered unlimited plans will likely appreciate the option to crank up the video quality.